This narrowly fitting skirt gets its freedom of movement from the large crease in the front. At the back, a simple narrow skirt-at the front the used width, which is so important when playing, racing and romping! 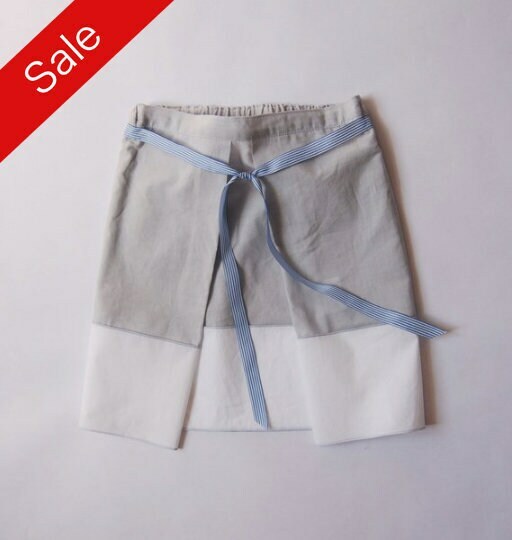 The skirt is made of 100% cotton. A delicate grey with a wide layer of wood through the applied white stripe. 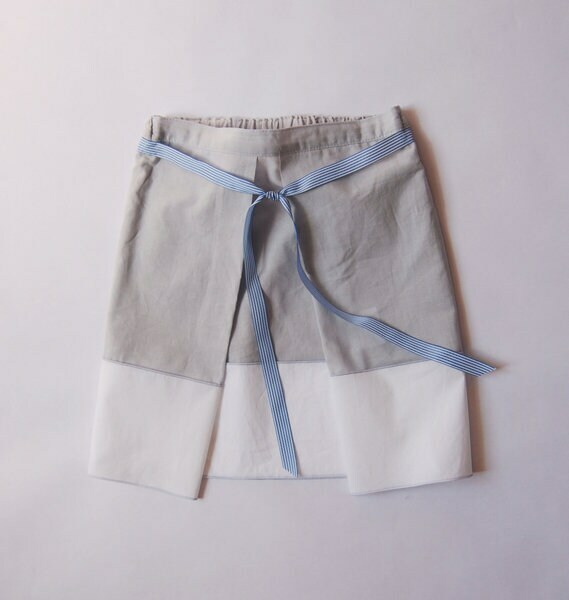 A finely striped blue ribbon was used as an eye-catcher, which is firmly attached to the skirt in the rear area. Rock "Ida" is also available in limited edition made from a beautiful original Indian sari.